The official leather bracelet of the Brandon Tatum vintage leather collection. 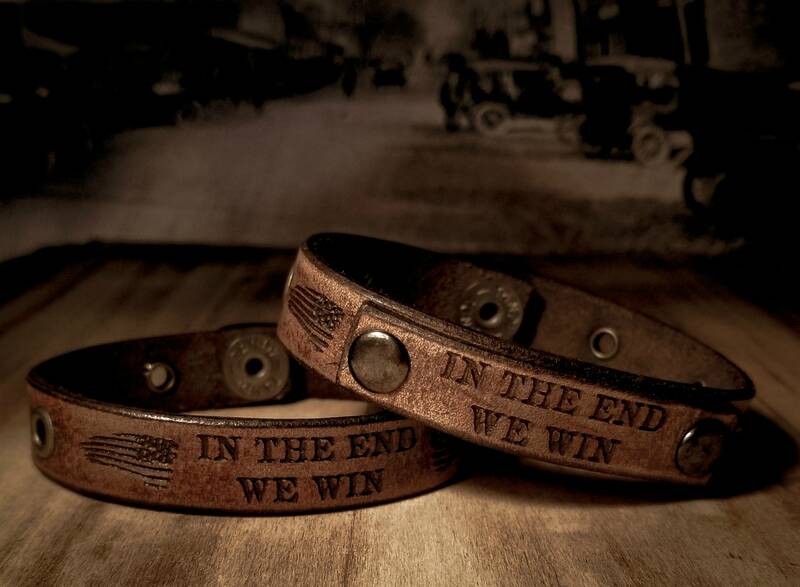 These leather bracelets are made from premium, 7 ounce cowhide leather, laser engraved with Brandon's signature quote, "In The End We Win", then laser cut for precision accuracy. Each bracelet is then tooled by hand, dyed, and allowed to dry. Once the 24 hour drying process is complete, we give every bracelet its own unique, vintage distressing. 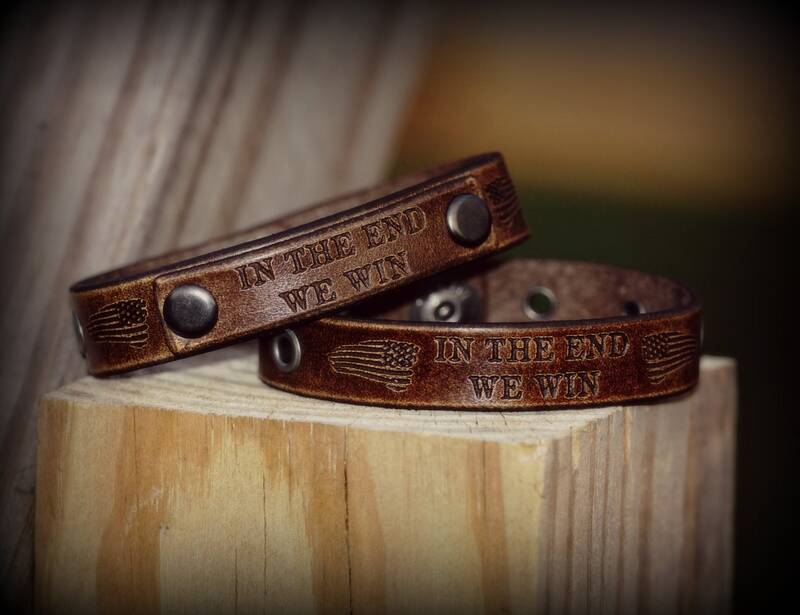 Our vintage distressing process ensures that no two bracelets are alike. The bracelet is then oiled, finished, and buffed. This bracelet is available with the riveted top tag or without. 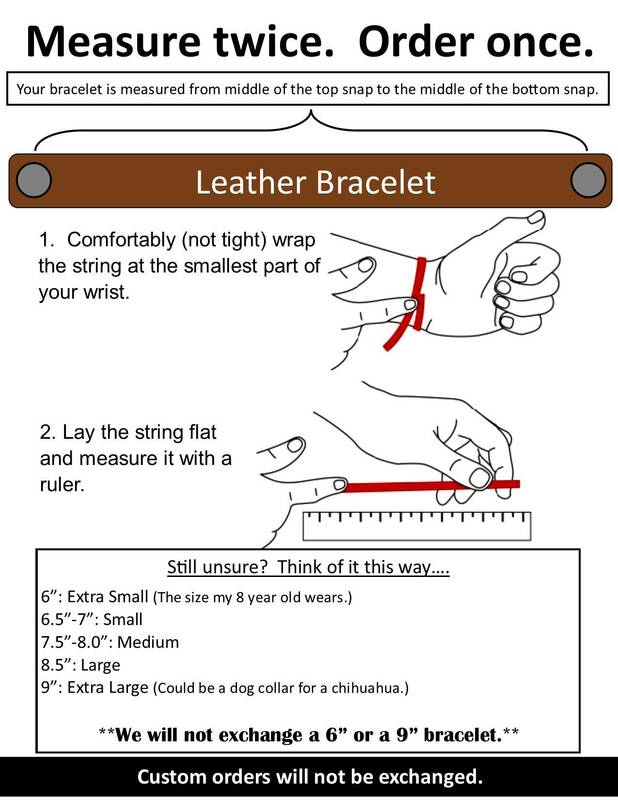 See the sizing chart for instructions on how to measure your wrist. Please allow 8-10 business days for production and processing. Please note, this item cannot be customized. Made in America.